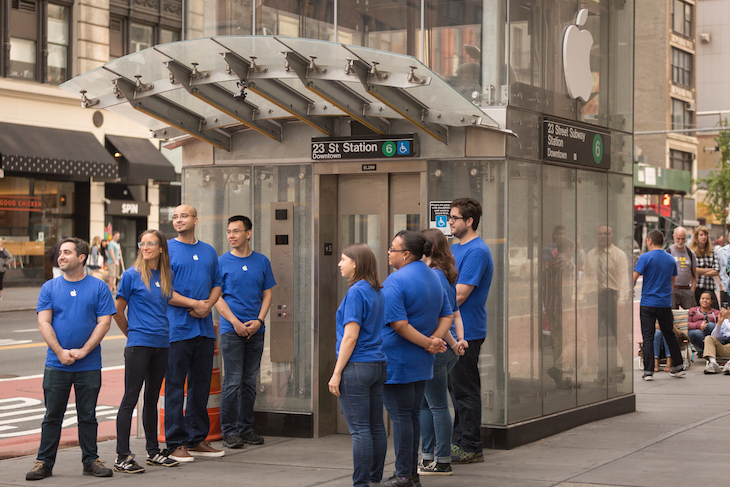 Noting that the iconic Glass Cube of the 5th Avenue Apple Store is under repair, the comedy collective Improv Everywhere decided to create a similar buying experience by turning a glass subway elevator at 23rd Street into a fake Apple store. 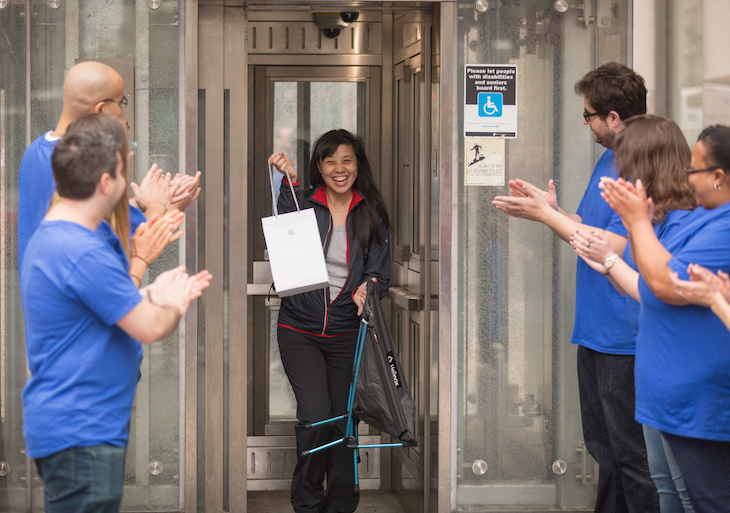 There they planted troupe members as hopeful buyers waiting in line for the “first 50 iPhone X” phones, as employees and as happy customers exiting the elevator with the tell-tale white plastic bag in their hands. 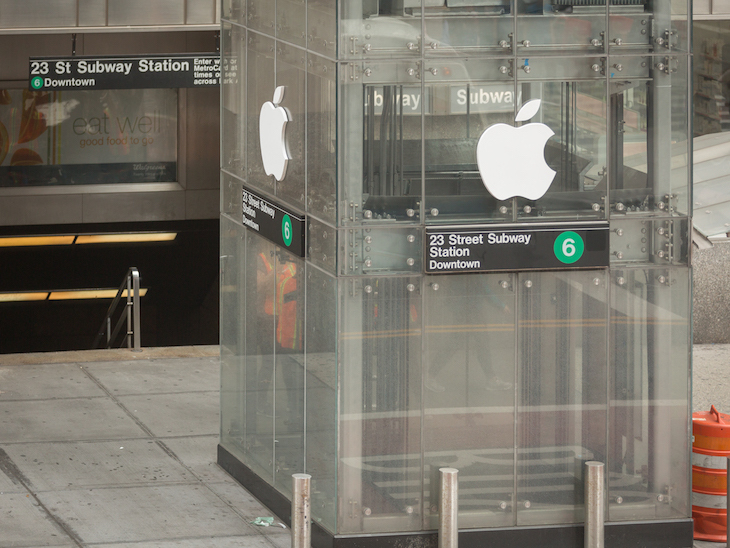 For our latest mission, we turned the 23rd Street 6-train elevator into New York’s newest Apple Store. 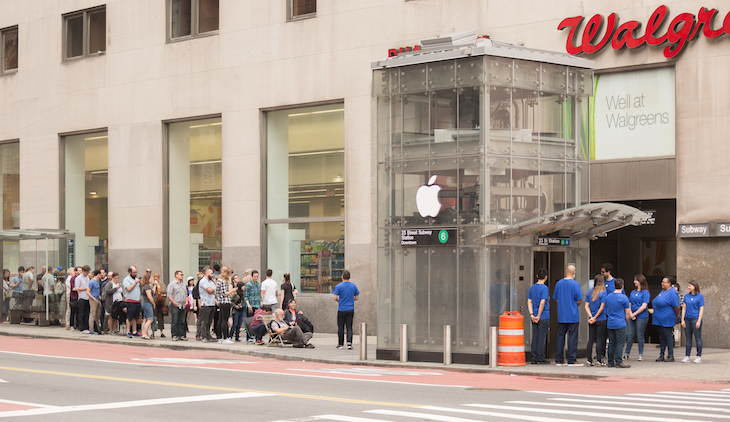 We placed giant Apple logos on the sides of the glass cube structure, added fake Apple Store employees plus a line of 50 people waiting for the new iPhone X. 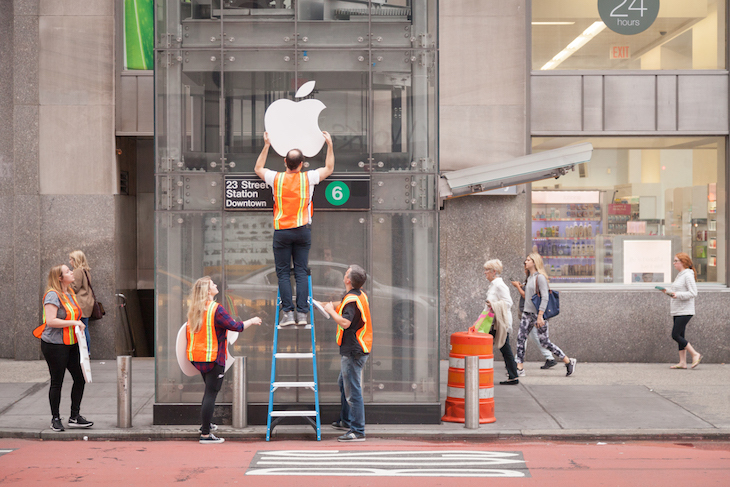 With the famous 5th Avenue Apple Store under construction, we felt NYC needed a new glass cube Apple Store. The activity piqued a great deal of interest amongst passing pedestrians with some of them stopping to join the line. One couple even went all the way down the elevator to find out that it was a harmless prank. They enjoyed it and got back onto the line in order to be part of the joke. A few people who believed us actually got in line to wait, hoping to get their hands on the iPhone X early. We were worried this might happen, and we really didn’t want to waste anyone’s time. So our Apple employees would tell people that we’d run out of phones, and only the first 50 people in line would get one. …Once they figured it all out, they still wanted to go up the elevator and celebrate and be a part of it. They liked the idea of fooling other people on the street now that they were in on it.